Besides saving a life (and freeing up valuable space and resources for other pets in need), that senior pets are “past their prime” is actually one of the most compelling reasons to adopt a senior pet. Because they are fully grown, senior pets have already reached their mature size, energy level, and health status, making it easier to decide if these characteristics will be a good fit for your family. Senior pets also come with established personality traits, so you can observe their behaviors and temperament, and determine if these tendencies will be compatible with your lifestyle. Speaking of training, just because a pet is older doesn’t mean it can’t be trained! Because most senior pets arrive at a shelter after spending years living in a home, they’re usually already house trained and familiar with a few basic commands. Older pets also tend to be less energetic or distracted than their younger counterparts, which can be helpful when teaching a senior pet new behaviors or skills. Older adults can derive huge mental and physical benefits from pet ownership and companionship, including lower blood pressure, decreased stress, a sense of purpose in caring for another, and less incidence of depression. Living with a pet can also provide a senior citizen with a reason to be more physically active, to get outdoors and walk, and to socialize with others. That senior pets are often gentler and more laid back, and tend to require less maintenance and training, makes them a really good choice for older individuals. Adopting a pet of any age is a big responsibility, and senior pets can come with their own unique set of challenges. 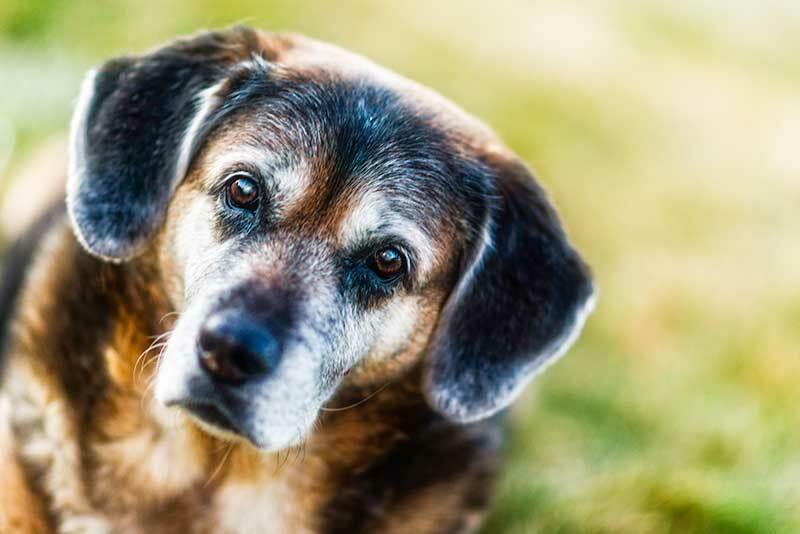 Obviously, a senior pet’s lifespan probably isn’t going to be as long as a puppy or kitten, and knowing this can be a concern for some potential pet owners. However, since we don’t know for sure how long any pet will live, a pet’s age needn’t be the only deciding factor. Age-related health issues can also enter in so, as with any pet, it is wise to be prepared for wellness exams (we recommend two per year for older pets) and any other medical needs your sweet senior may have. While there are concerns when adopting any pet, we are confident that a senior pet can offer special rewards that will make it the perfect fit for the right family. Here at Lone Tree Veterinary Medical Center, we absolutely adore senior pets. Please let us know how we can be of service to you and your wonderful, furry companion!